This blog has been a dream come true and I’m so happy to say that New Style Modé, my fashion blog, has officially turned 1 year old! 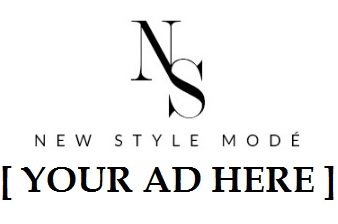 I started New Style Modé as a way for you to get to know aspiring fashion models on a more personal level. Now, a year later, not only am I interviewing aspiring fashion models, I started blogging about some of my own fashion experiences and adventures too. So here is the inside scoop: I am starting to diversify my blog and make it more personal. I will still continue to blog about the aspiring fashion models I meet & I will also be blogging more about my thoughts, feelings and fashion adventures! I’ve interviewed over 50 aspiring fashion models from all over the world. I was a member of the press for New York Fashion Week in 2016 and 2017. I was trained by international runway coach Mandy Dionne on how to walk the runway. I had my makeup professionally done by Gabriella Golan MUA. I even had my first modeling opportunity with Pause & Unwind, the new self-care subscription box. Overall, it’s been such a fabulous year! I want to take a moment to give a HUGE SHOUT OUT to all of the models who I have interviewed. Thank you for giving me your time and opening up about your lives. Thank you to all the fashion show producers, designers and members of the press who have given me the opportunity to become a part of the fashion world. Thank you to my New Style Modé family for always being there for me! I love you so much! Thank you to all of you who have shown your love and support through following, subscribing and reading my blog. I am so honored. You inspire me every day. You are absolutely wonderful. You have been nothing but supportive! I’m really excited to share my first fashion blog video with you! After taking a blogging class at FIT, I decided to make my blog a bit more personal by formally introducing myself. I thought it would be a great way to celebrate how much my blog has grown within the year. Thank you for reading, subscribing and following my fashion blog. A huge thank you to all the models and photographers for all of your time and dedication. I also want to thank my amazing New Style Modé family and team for all of your hard work, encouragement and perseverance. Thank you for making this blog — which started off as an dream — into a reality.